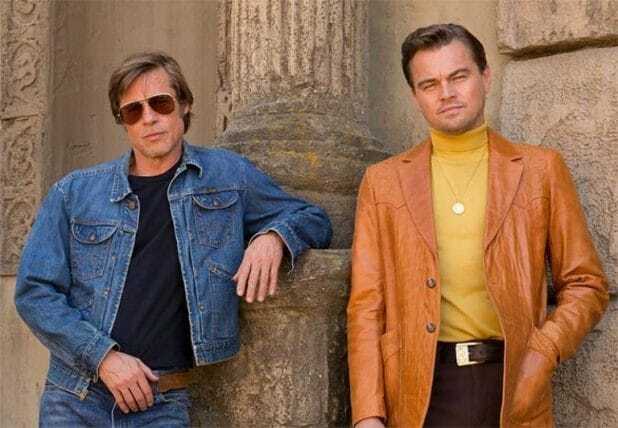 It isn’t hard to make Brad Pitt and Leonardo DiCaprio look like the coolest people in the room, but the first official poster for “Once Upon a Time in Hollywood” certainly tries. Sony teased Quentin Tarantino’s ninth film with a simple look at the film’s two male stars standing tall and looking boss in their vintage threads. It’s Hollywood in 1969, and DiCaprio plays a faded TV actor who, along with his stunt double, strives to achieve fame and success in the film industry during the final years of Hollywood’s Golden Age. Oh, and Charles Manson might show up as well. That should get interesting. Margot Robbie co-stars in the film as Sharon Tate, and “Once Upon a Time in Hollywood” also features a typically loaded Tarantino cast, including Margaret Qualley, Scoot McNairy, Dakota Fanning, Timothy Olyphant, Kurt Russell, Emile Hirsch, Tim Roth, James Marsden, Damian Lewis, Lorenza Izzo, Sydney Sweeney, Rumer Willis, Clifton Collins, Jr., Michael Masden, Zoe Bell, Bruce Dern, Harley Quinn Smith, Lena Dunham, Danny Strong, the late Luke Perry, and Damon Herriman as Charles Manson.